I have over 3000 fonts on my computer. I am obsessed quite fond of them. I can spend more time on picking a font for something I make that I do actually making it. I thought I would start sharing some of my favorite fonts for Halloween since it is October. 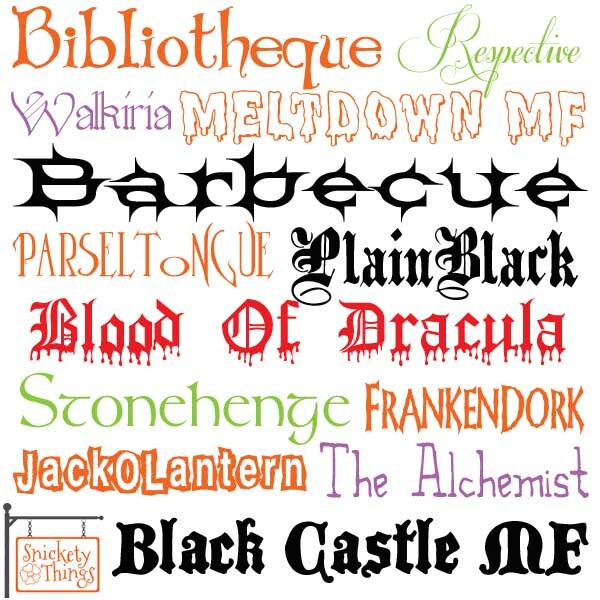 I find I go to these fonts more than others depending on the type of Halloween project I am doing. Remember to read the rules for using the fonts if you download them. I will post more favorite fonts before Christmas and check back next week for this year's Halloween costumes. Thanks so much for sharing! I found you on I Heart Naptime and I'm so glad I did. I JUST got my sillhouette and can't wait to make some fun crafts with these. I have you "pinned."